Better Impressions 2014 stop the violence concept focuses not on "incarcerating" more young adults, but rather creating positive "Job opportunities" for young men and women who reside in high crime, low-income environments across the United States. Most if not all of these "inner city" environments lack any positive opportunities or any positive role models. With young adults looking up to what is the only visible positive role model, drug dealers, rappers, and athletes, little is left to the imagination as to what opportunities so many of our youth are creating for themselves that ultimately lead them absolutely nowhere in life. Unlike organizations such as "community watch" and "block watch" etc, Better Impressions has 2 platforms to our stop the violence concept, that have been "proven" to not only create positive role models within the "inner city" communities, but also creating positive job opportunities for young adults to become independently successful. Community watch is a tool focused on calling the police and the end result is most often incarceration or even death as the whole country witnessed the unjustifiable murder Travon Martin and acquittal of George Zimmerman in Florida. 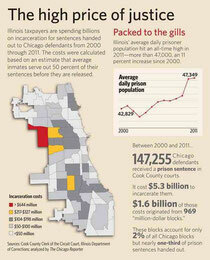 Statistics show that billions of dollars are used every year to house people in Jails across the nation. Indeed many of these people may belong behind bars, but a CDC study has proved that violent crime is actually on the decline, specifically homicides. Unfortunately the incarceration rate continues to soar. Better Impressions feels that high incarceration rates can be reduced, and violent crime can be reduced with more at risk youth working, doing something positive and becoming a role model. Not only just to their peers, but to the younger generation that follows. Tax payers or spending billions of dollars a year to "lock" people up. With just a small fraction of what is being payed to house people in Jail, money could be directed into a program that is empowering young adults to become assets to the community, rather than a liability to society, costing U.S. Tax payers "billions" year in and year out. And click the products/online ordering/donation tab. We thank you for your interest and continued support. Please kindly refrain from off topic comments. This forum is for serious discussions on how to tackle the issues facing our inner city youth.